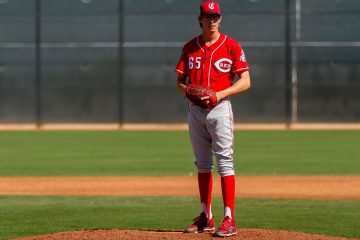 Jackson Stephens made his Major League debut on Saturday afternoon against the Chicago Cubs. It’s never a fun assignment to go up against the Cubs offense, much less in your Major League debut, but the 23-year-old Stephens was up to the task. In the 1st inning Jackson Stephens struck out two batters, setting the tone for his outing. Not known as a strikeout artist or a guy with big velocity, Stephens came out throwing fire. Usually a guy who will throw in the low 90’s, Stephens sat at 95-96 MPH and hit 97 in the inning. I’ve watched a lot of Jackson Stephens starts of the past few years. I’ve never seen him hit 97 and I’ve only seen him hit 96 once – and I heard about it happening another time. After the 1st inning the velocity took a step backwards, not topping 95 the rest of the game, but he continued to work in that 92-94 MPH range until the last handful of pitches in his outing. The strikeouts didn’t dry up as his velocity went backwards. In the 2nd inning he picked up two more strikeouts. It was the 3rd inning that saw Jackson Stephens run into some problems. He gave up two home runs to the Cubs, falling behind 3-0. He did pick up his 5th strikeout of the day to end the inning, though. The next inning he make quick work of the Cubs, getting a ground out and two more strikeouts. The Reds offense gave him a lead in the 4th inning. With a 1-run lead, Jackson Stephens worked around a 1-out single and completed the inning, and his outing, holding a 4-3 lead. The bullpen would come on and keep the Cubs scoreless. That would give Jackson Stephens a win in his Major League debut as he racked up eight strikeouts with just one walk over his 5.0 innings. 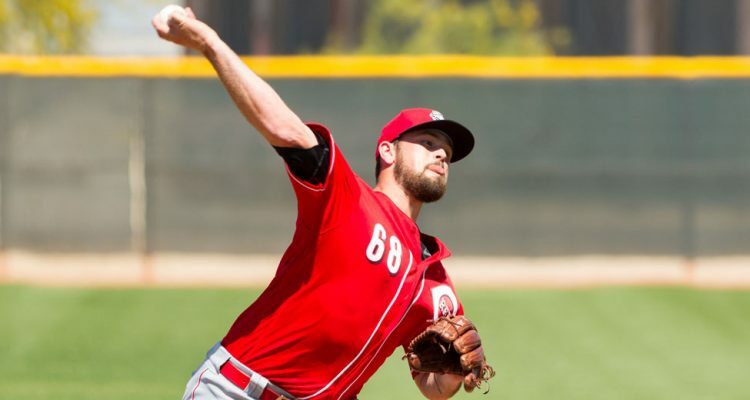 The last time Stephens had that many strikeouts in a start was in August of 2016 when he was pitching for the Pensacola Blue Wahoos. Funny enough it came against the Tennessee Smokies, who are the Double-A affiliate of the Cubs. Both Ian Happ and Victor Caratini played in that game and today’s game. Got the W against one of the better lineups in baseball, notched 8 K’s, and even had a RB single to give the Reds the lead. Hard to ask for a more storybook debut for Stephens. 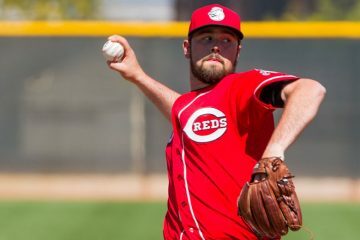 I have never given up on the idea that Stephens can be in the reds rotation long. Not jumping to conclusions after one start, but this was impressive. Lol. He was feeling it. So does this mean he could be a backend bullpen piece if the other youngins figure it out? If he only has to throw one inning and throws like he did in the first then that’d be nice to have. It’s certainly possible. 95-97 with that curveball will probably play quite well. Well i have to admit i was wrong about yesterday. in another comment section on this site, I said he was gonna get blasted by the cubs. I was impressed. That curveball was outstanding with ability to get the high strick and most importantly inside high inside strike.